Edward’s Lemonade: Have Edward Scissorhands help make his tasty lemonade just for you! This citrus sweet drink is made old fashion style with Orange bitters. 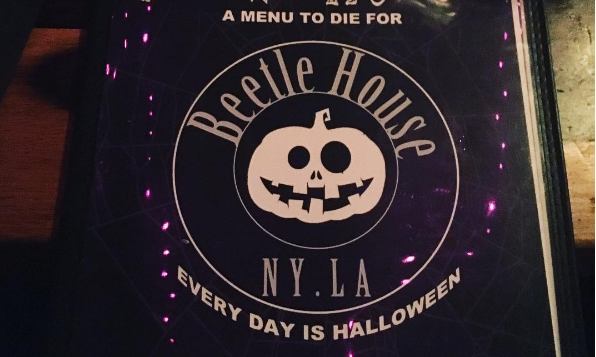 Beetle House makes sure that you can enjoy summer lemonade and the feeling Halloween at the same time! This Is Halloween: Have a glass of pure fright! This drink is a mix of Pumpkin Liqueur, sour apple pucker, apple cider, and fireball. This drink will surprise you with all it’s fall flavors. Big Fish Bowl: This drink is big enough to share with friends or your partner! Beetle Juice offers this bar favorite with Malibu rum, Blue Curacao liqueur, Vodka, sprite, sweet-and-sour mix, Nerds candy, and of course Swedish fish candies! 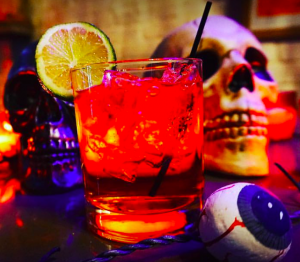 Dive in to this drink and maybe have Beetlejuice serve you. 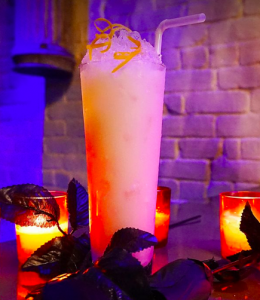 The Jack Skellington: Toast to the King of Halloween with this cold refreshing drink! This beverage is a mix of creme de coconut, orange blossom, Bacardi Rum, and lime juice. It’s also topped off with crushed ice and orange zest to keep you chilled to the bone! 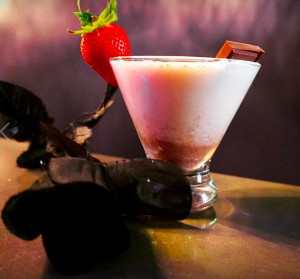 The Chocolate Factory Martini: Try a sip of rich and creamy drink that will make you feel like a kid again! This remake of a kid-like treat is mixed with Dorda chocolate liqueur, creme de cocoa, cream, and Vanilla vodka. It’s not purely your imagination, this drink is delicious as it looks! Have you visited this famous restaurants before? Tell us your experience in the comments!